Starting with the basics, choosing the best pack, understanding the deck and its structure, asking the right questions, this comprehensive guide to working with tarot provides all the information needed to do a full reading. On colourfully, sumptuously illustrated pages unfold the mysteries of each card's symbolic meaning. From the Magician to the Fool, the Lovers to the Hermit, every beautifully presented entry features a picture of the card, as well as keywords and phrases, astrological affinities, and a full interpretation. In-depth advice on laying out spreads for every day, relationships, revelations and destiny help unlock the secrets of the past, present and future. 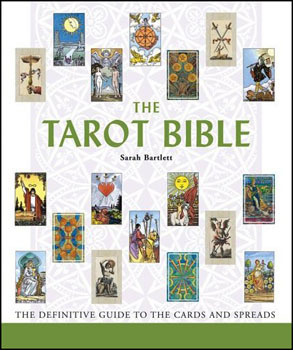 With everything from historical background to smart tips for developing skills and knowledge, this truly is the tarot bible newcomers can depend on!